This is a great basic recipe for cookies. 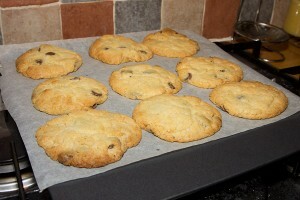 They come out soft and creamy and if you don’t like orange you can leave it out and just make chocolate chip cookies. Also, you can make a big batch of the dough, freeze half of it and just defrost it when you need some more! 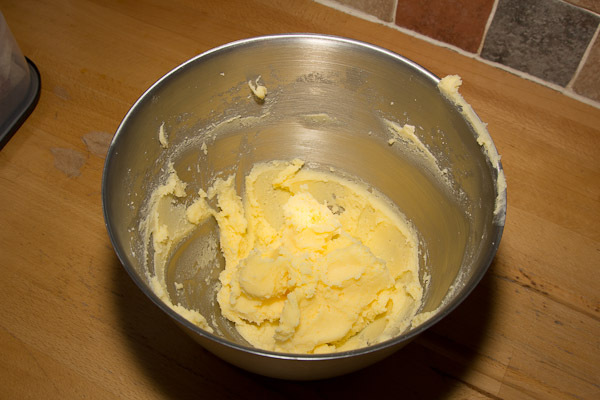 If you don’t have any condensed milk (you can get small tubes if you don’t want to use part of a tin) you can substitute it with 100ml of milk (preferably full fat). However If you do this I would leave out the orange juice as otherwise the mixture will be too wet. You can make the cookie dough by hand but I prefer to use a food mixer as it’s much easier (but DON’T over mix!). 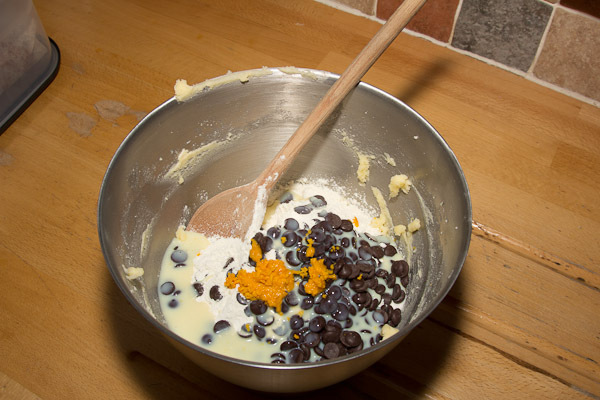 Add all the remaining ingredients (flour, chocolate and condensed milk) to the bowl. Get 2 baking trays and place a piece of baking parchment on each. You can use greaseproof paper instead but baking parchment is soooo much better (try it, you will be amazed at how much less it sticks). 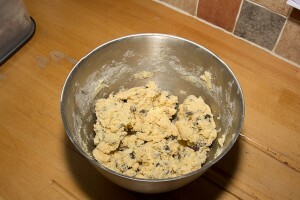 Now start pulling off bits of dough, and roll them into ping-pong sized balls (just a bit smaller than golf balls). You are aiming to have 18 equal sized balls. Place 9 balls in each tray, equally spaced apart. They will spread out loads when they cook. Now press down on each ball to flatten them a bit into little disks. Place the trays in the oven and cook for about 14 minutes until they are just starting to brown. Don’t be tempted to cook them for too long otherwise they will harden up and be more like biscuits than soft chewy cookies. 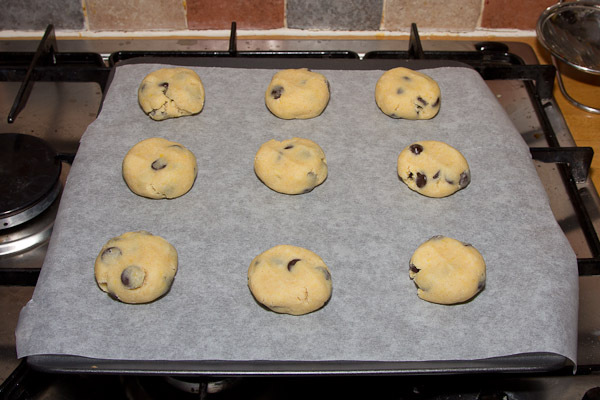 Once cooked, take the trays out of the oven and allow the cookies to cool for a bit before taking off the trays. The cookies should keep for about 6 days if kept in an airtight container but I doubt they will last that long without being eaten! This entry was posted on Monday, December 12th, 2011 at 9:00 amand is filed under . You can follow any responses to this entry through the RSS 2.0 feed. You can skip to the end and leave a response. Pinging is currently not allowed.